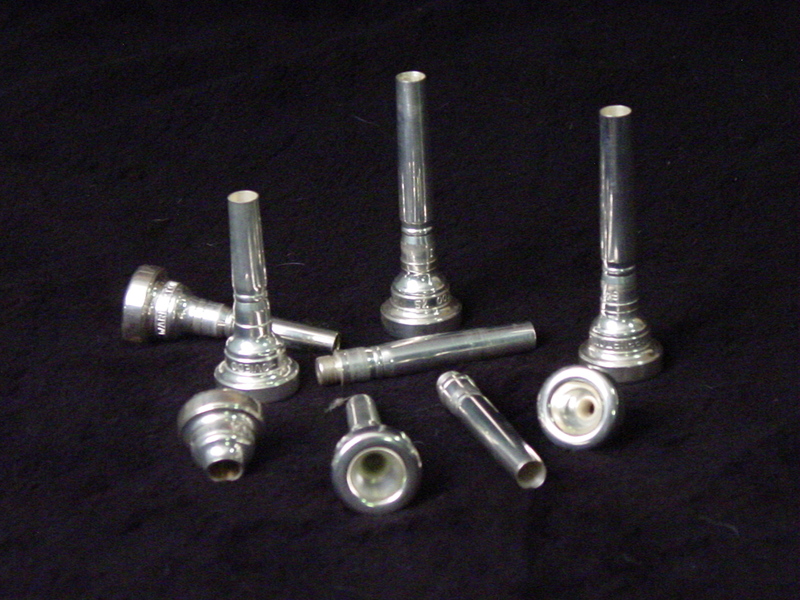 We carry a selection of trumpet mouthpieces: Bach, GR, and Warburton. 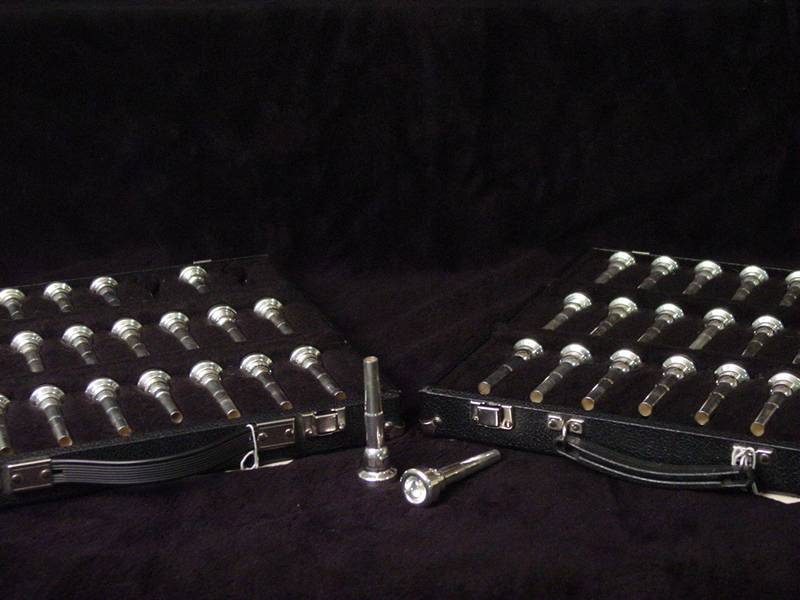 We carry some of the more common trombone mouthpieces such as: Warburton, Bach, and a few Denis Wick, . Warburton uses a two piece system by having a cup with a screw on backbore. With the Warburton system you first find a rim size that will fit you and what you’re playing best. Next you find a cup depth that gives you the sound and tonal qualities you desire. After you have a top of a favorable rim and cup size you then find a backbore that fine tunes the mouthpiece to you and your horn. Gary Radke (GR) makes a great one piece trumpet mouthpiece that is quite popular between pros and amateurs. The mouthpieces are designed using a math equation designed to insure the the sound way is never interrupted. To read more visit his website grmouthpieces.com.